The Rhineland Way was French philosopher Michel Albert s proposed answer to the Anglo-American style of market capitalism that spread across the globe after the demise of Communism in the early 1990s. Today, in the wake of recent scandals and the crisis in the banking industry, this alternative is more viable -- and more needed -- than ever before. 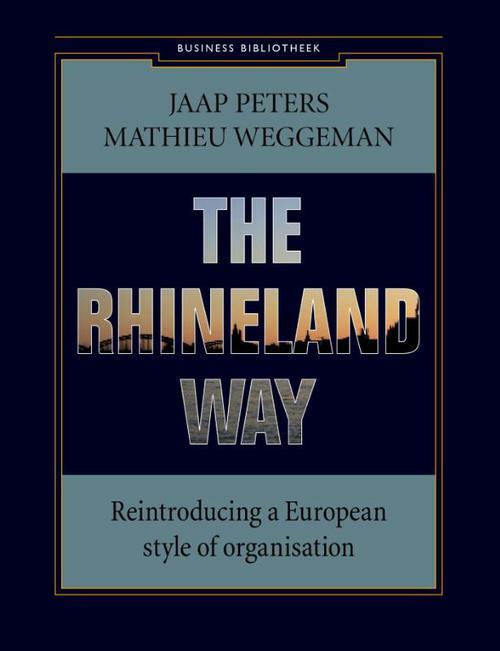 What does the Rhineland Way mean on a practical, day-to-day working level? How can we infuse our organisations and working processes with a little Rhineland spirit? Jaap Peters and Mathieu Weggeman, champions of the Rhineland Way since its inception, give you a few insightful pointers and examples of what it means to work with principles instead of rules, to trust the skilled craftsman and to focus on primary processes. They also sketch a helpful framework you can use as a starting point to bring about similar changes in your own company. An organisation should not be just a money-making machine, but a place where skilled workers enjoy the beauty of craftsmanship to satisfy their customers.